Emma Lindsay has problems: no parents, a crazy guardian, and all those times when she blinks away, dropping into other lives so surreal it's as if the story of her life bleeds into theirs. But one thing Emma has never doubted is that she's real. 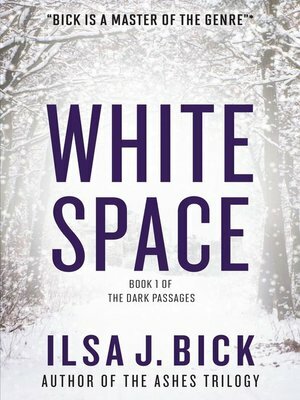 Then she writes "White Space," which turns out to be a dead ringer for part of an unfinished novel by a long-dead writer. In the novel, characters travel between different stories. When Emma blinks, she might be doing the same. Before long, she's dropped into the very story she thought she'd written. Emma meets other kids like her. They discover that they may be nothing more than characters written into being for a very specific purpose. What they must uncover is why they've been brought to this place, before someone pens their end.